Searching for a painting contractor in Overland Park, Kansas? Great! You have found the leading Painting Contractor in Overland Park! Jo Co Painting LLC has been professionally painting in Overland Park, KS since 2004. During that time, Jo Co Painting LLC has painted hundreds of homes and businesses throughout the area and has built a solid reputation as a trusted Overland Park painting contractor. Give us a call at (913) 278-1878 for a free quote and discover why we've become a local favorite! Wide Variety of Painting Services in Overland Park - We can paint anything! Our services include interior and exterior painting for residential and commercial buildings, deck staining, fences, basements and much more. Great Painting Value - When it comes to cost-effective top quality painting in Overland Park KS, Jo Co Painting LLC is a great choice. 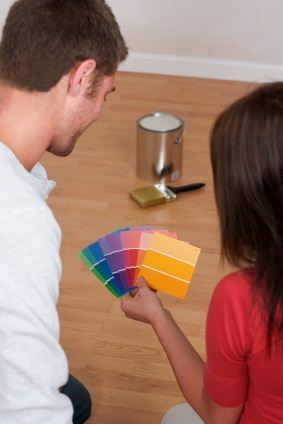 We take pride in completing painting jobs within budget, on time and to our customers' highest level of satisfaction. Experienced Overland Park Painters - Jo Co Painting LLC's painters have several years of experience and training painting homes and businesses in and around Overland Park, KS and are educated in Overland Park's construction styles. When searching for reasonably priced premium painting in Overland Park, KS, Jo Co Painting LLC is the painting contractor Overland Park residents call.